Mercedes Preparing 400hp Diesel SLS AMG? If they can build the SLS AMG E-Cell, then why not a 400-horsepower oil-burner? German automakers have long had a love affair with the diesel engine. While American carmakers have largely ignored oil burners, the Germans have continuously refined thisir diesels to the point where Audi, for example, has won Le Mans multiple times compressing oil. 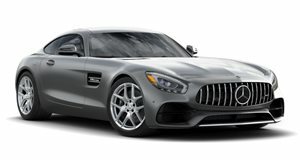 We&apos;re used to seeing many automakers adapt several of their models into EVs and hybrids, a new rumor first reported by Polish car news site moto.pl is claiming that Mercedes may roll out a diesel version of the SLS AMG. We may even see it arrive as early as the Paris Motor Show this September. The best part? Power could come in the form of a triple turbocharged six-cylinder diesel with 400 horsepower. Although nothing has been confirmed yet, this could actually become a reality considering not only Audi&apos;s diesel success, but also BMW&apos;s. The latter have successfully developed and launched the M550d sedan and wagon as well as the X5 M50d and X6 M50d. These aren&apos;t just any old diesels blowing black smoke, but true performance machines capable of going from 0 to 60 mph in 4.6 seconds (in the case of the M550d sedan) while returning solid fuel economy numbers. For Mercedes to jump into the game with a diesel-powered version their halo model would not only be incredible, but it also makes a decent business case considering the company&apos;s two main domestic rivals are already ahead of them in this realm. Sound strange to you? Then consider for a moment that Audi had its own plans for a diesel R8 (which it ultimately shelved). Mercedes, for its part, already showcased the electric-powered SLS AMG E-Cell concept (pictured here) that may go into production next year.